Are your kids drawn to playing in the driveway? It’s a dangerous place to be. Here are a few tips to keep your kids safe. 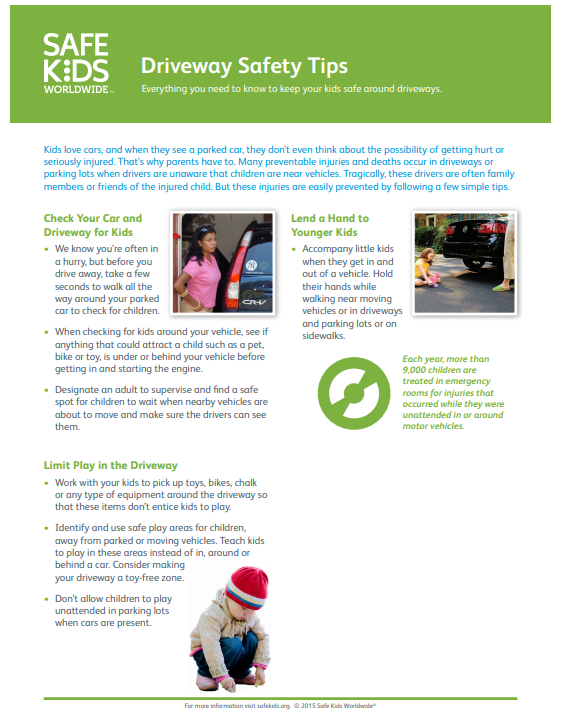 Take a few seconds to walk all the way around your parked car to check for children. Accompany kids when they get in and out of a vehicle. Hold their hand while walking near moving vehicles, in driveways, parking lots or on sidewalks. If children are going to be playing in the driveway, block it off with trashcans or cones to prevent cars from coming in.